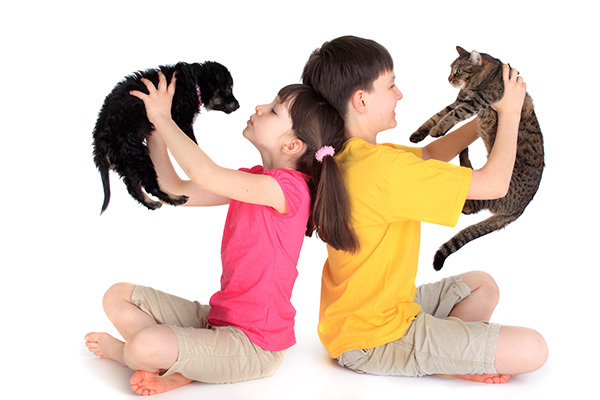 What role will each family member play in the pet's care? Who will feed the pet, groom and bathe it, clean its living space, and walk it, if need be? While many dog lovers and vets advise buying a Labrador as a family pet, Dr. Wirth advises choosing a smaller breed for your first dog. “Labradors and golden retrievers have a big reputation as the number one dogs for families with young children because they have a reliable temperament. Nonetheless, they’re big dogs and aren’t easy for children to learn handling techniques or grooming,” he advises. “For the first ‘learning dog’ I would go for one of the crossbred types like a fluffy Maltese or shih-tzu.” He adds that a breed of terrier would also suit a family with children over the age of five. Ideal for: Children who develop strong bonds. The animal-human relationship is particularly intense with canines. Think "man's best friend." While many families might not have the space for a dog, Dr. Wirth says a feline friend is a great second option, particularly for apartment dwellers. He adds that they’re also low-maintenance animals - meaning less work for mum and dad. “Cats make excellent pets,” he says. “They’re self-sufficient, clean and highly adaptable to living conditions". Dr. Wirth also advises choosing a kitten over a fully grown cat for small kids to bond with and choosing a basic shorthair cat rather than a shorter-lived pure breed. Ideal for: Kids who are nurturing but who won't mind being ignored by a pet that's often aloof. Though cats are beloved by both genders, they tend to be especially popular with girls. Ideal for: Families with kids old enough to handle them gently. Ideal for: Families who want a pet but aren't ready for a cat or dog. While fish are pretty to look at, and often fascinate pre-schoolers, the easiest fish to care for are the ones that live in cold water. “Fish are also good starter pets, but the coldwater varieties of goldfish are easier to maintain than tropical breeds,” advises Dr Wirth, adding that filtering and cleaning the water regularly is an on-going task. He adds that while kids will love to feed their fish, be careful to teach them that too many flakes will harm their pet. “Overfeeding causes pollution of the water,” he confirms. Ideal for: Kids who are brand-new to pet ownership. A popular "starter pet," the hardy goldfish can live up to several years in cold water with no heater or filter. Ideal for: Homes with older children. Ferrets require lots of time and attention and interaction with their human to be happy and healthy.